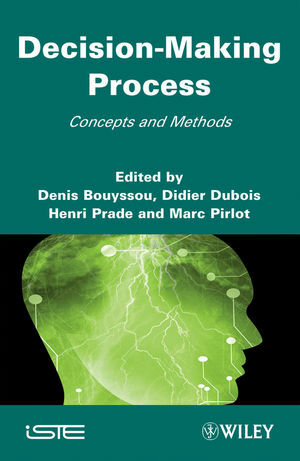 This book provides an overview of the main methods and results in the formal study of the human decision-making process, as defined in a relatively wide sense. A key aim of the approach contained here is to try to break down barriers between various disciplines encompassed by this field, including psychology, economics and computer science. All these approaches have contributed to progress in this very important and much-studied topic in the past, but none have proved sufficient so far to define a complete understanding of the highly complex processes and outcomes. This book provides the reader with state-of-the-art coverage of the field, essentially forming a roadmap to the field of decision analysis. The first part of the book is devoted to basic concepts and techniques for representing and solving decision problems, ranging from operational research to artificial intelligence. Later chapters provide an extensive overview of the decision-making process under conditions of risk and uncertainty. Finally, there are chapters covering various approaches to multi-criteria decision-making. Each chapter is written by experts in the topic concerned, and contains an extensive bibliography for further reading and reference. Denis Bouyssou is a Senior Researcher at CNRS, Paris Dauphine University, France. Marc Pirlot is Professor of Mathematics and Operational Research at Faculté Polytechnique de Mons in Belgium. Didier Dubois and Henri Prade are Senior Researchers at CNRS, University of Toulouse, France.